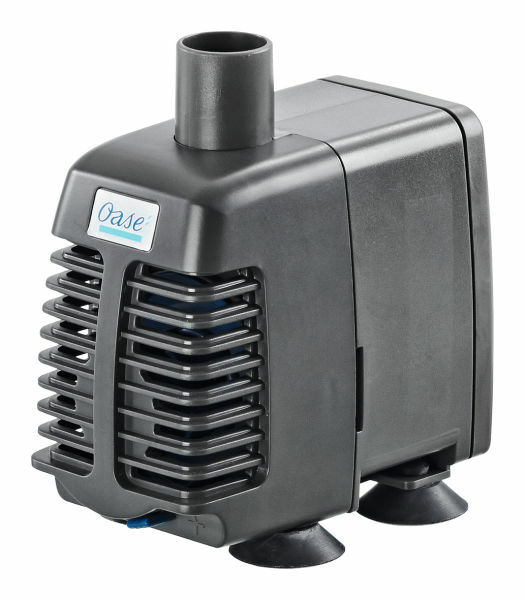 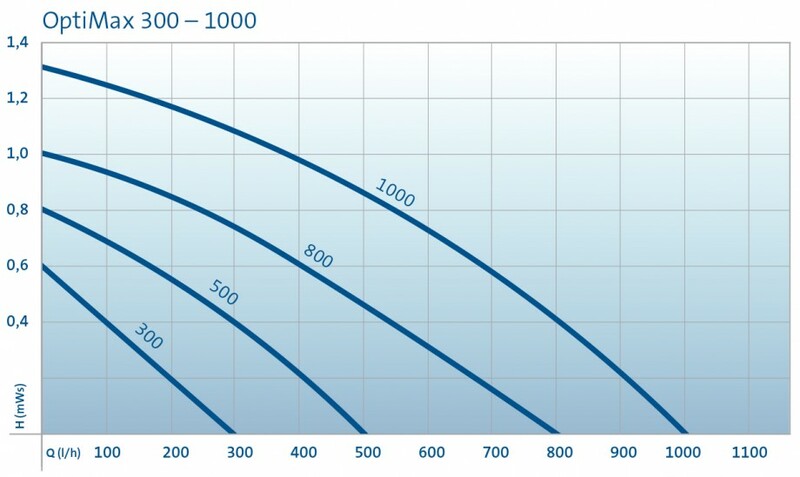 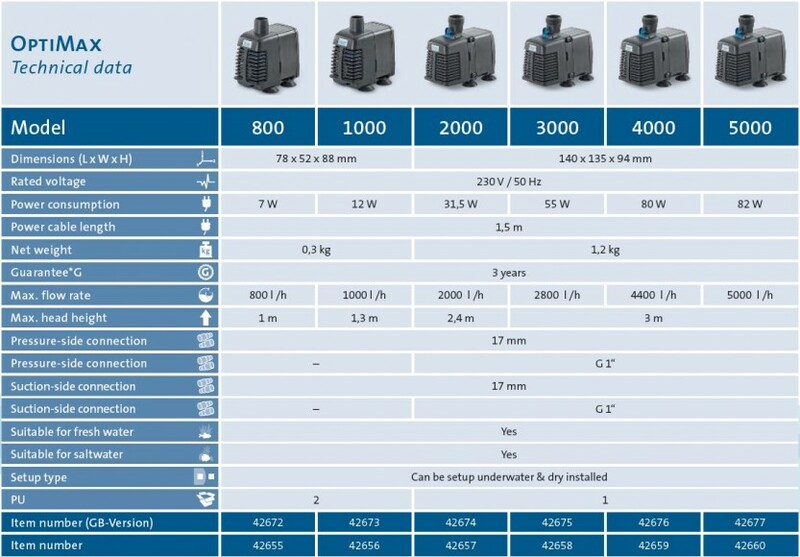 The OASE OptiMax 800 is a compact aquarium pump which is capable of providing a maximum flow rate of 800L/hour and a maximum delivery head of 1m. OASE Engineers in Germany have used high quality materials to ensure the longevity of the pump life and performance. 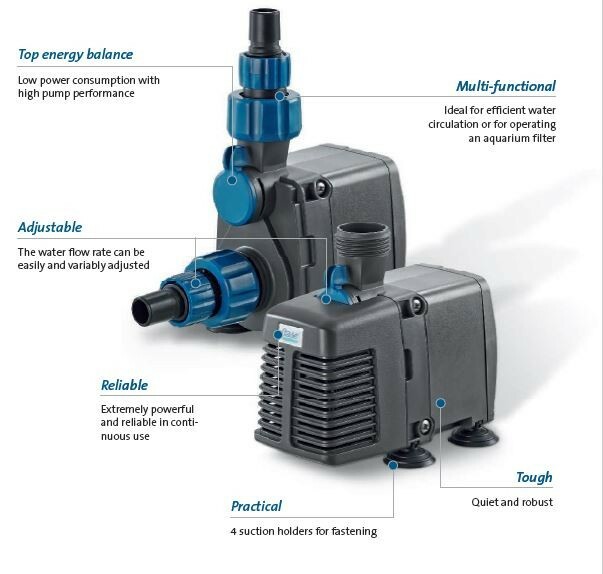 The OptiMax 800 features a built-in flow control for fine adjustment of the pump output.